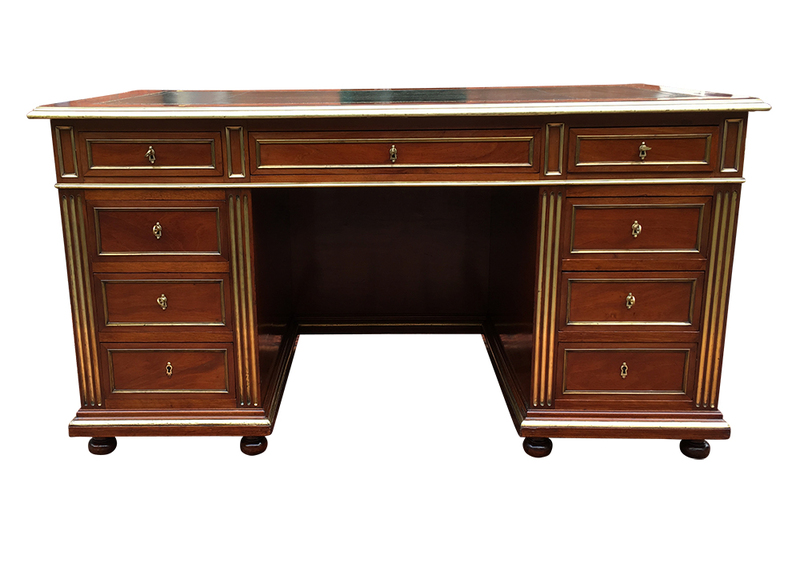 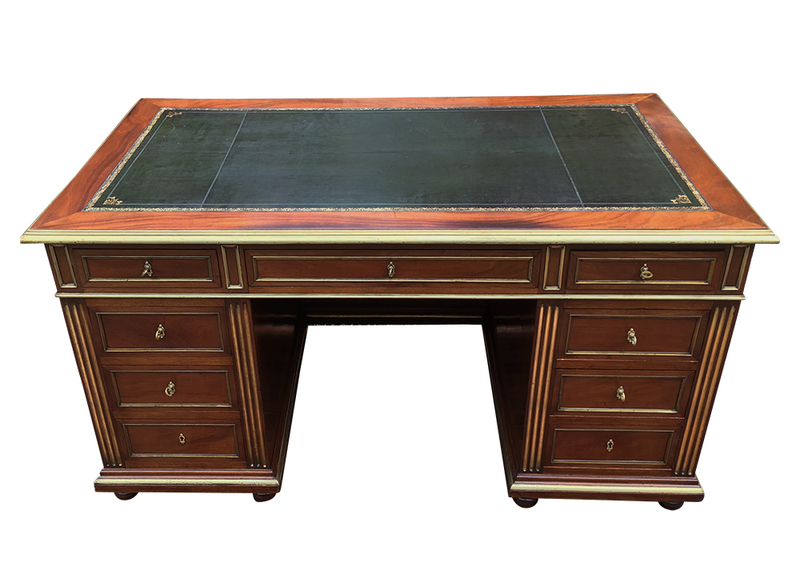 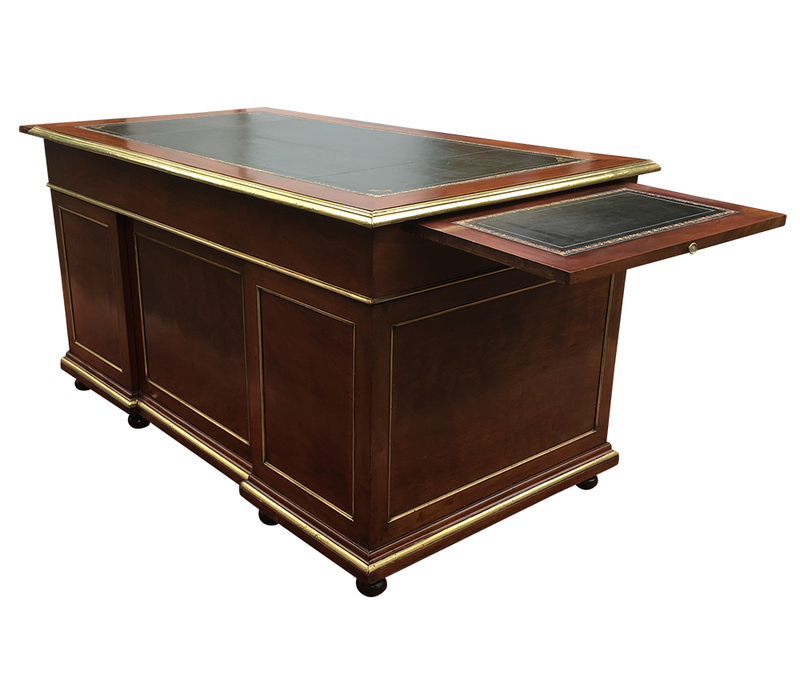 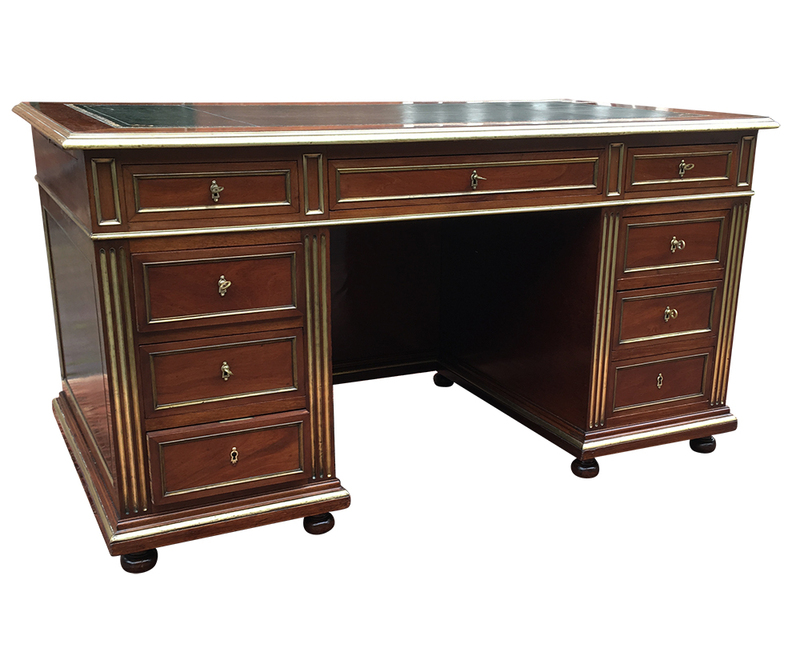 This beautiful antique French Empire Style desk is made from well figured mahogany timbers. 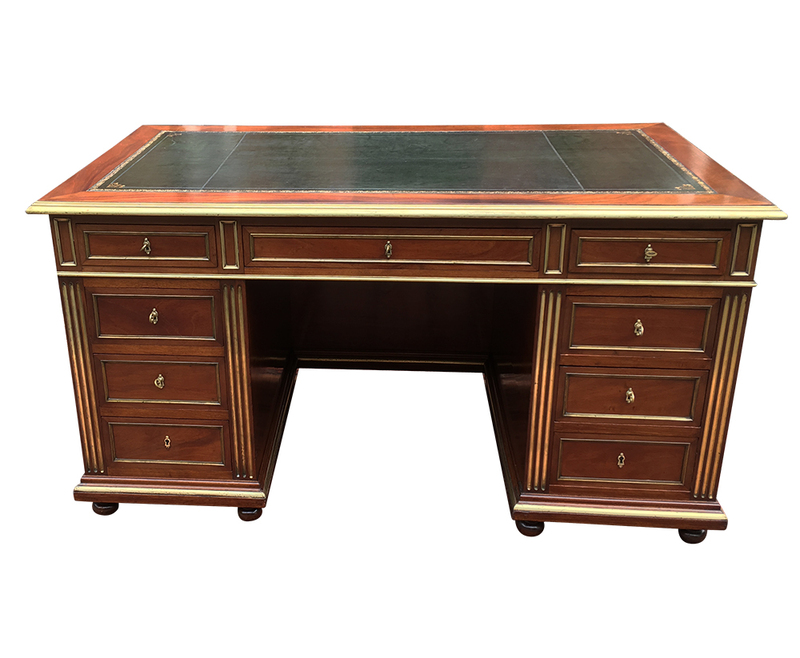 It is decorated throughout with a moulded brass bordered trim. 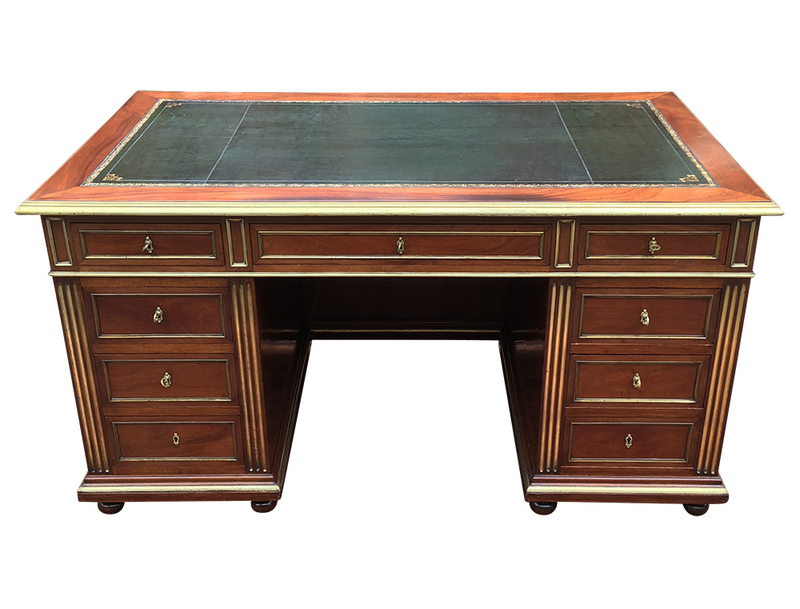 The desk has recently been cleaned and waxed polished which has brought out the beautiful patina. 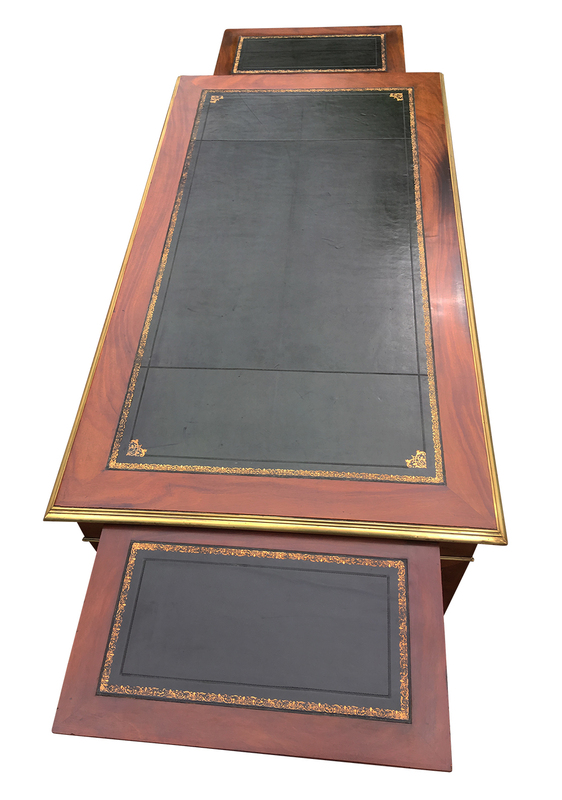 The top has an old bottle green hide writing surface with gilt tooling surrounded by a band of mahogany with a moulded brass border. 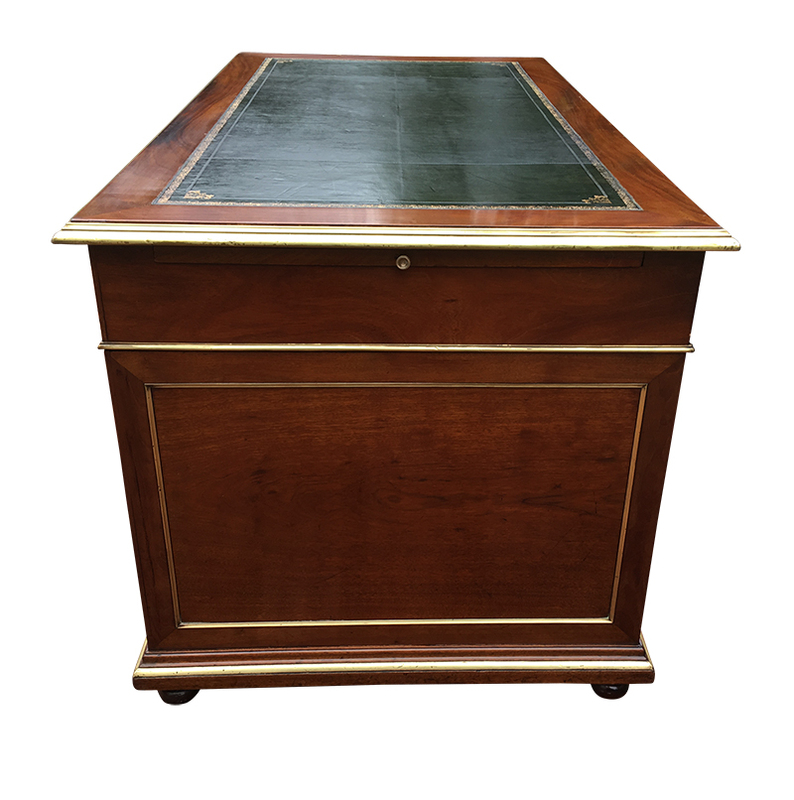 The top is fitted with 3 drawers and there are three drawers to each pedestal. 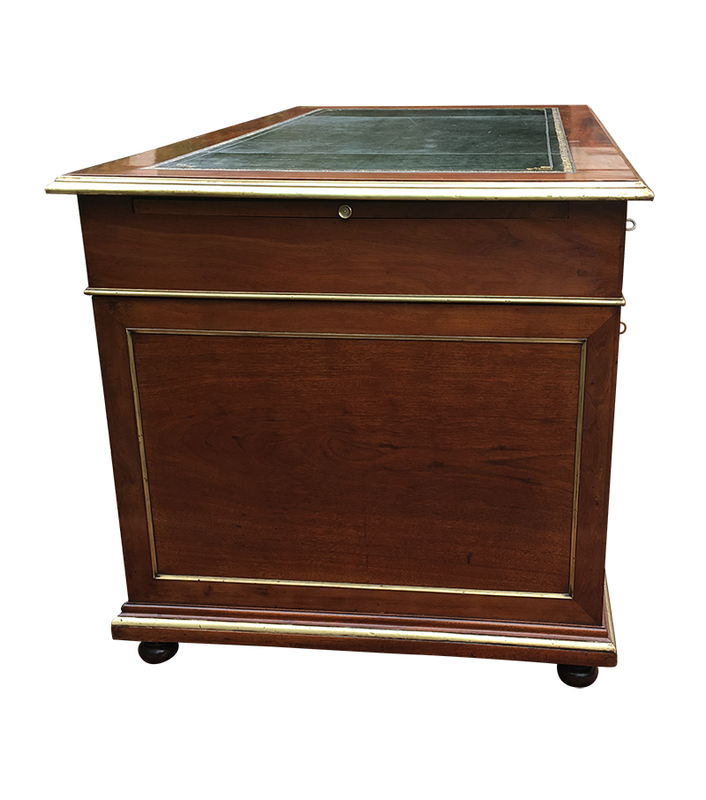 All drawers are oak lined the original brass locks and escutcheons and brass keys. 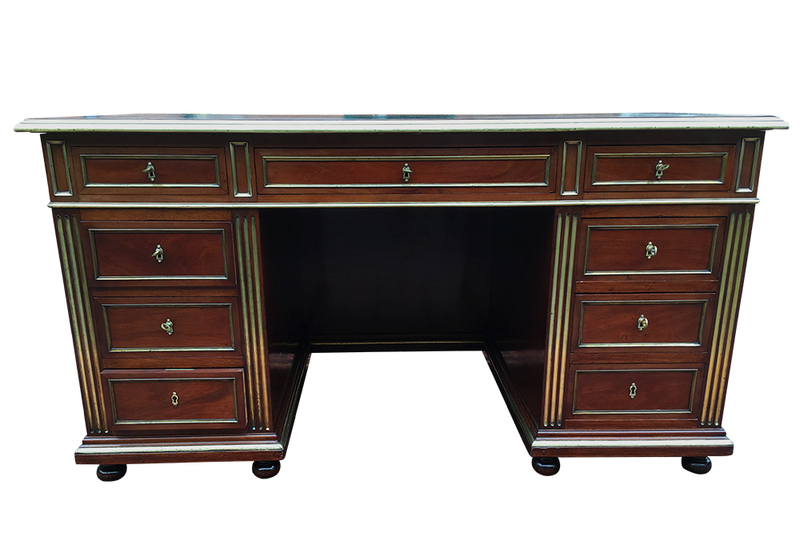 There are no handles as the drawers are designed to be opened by the keys. 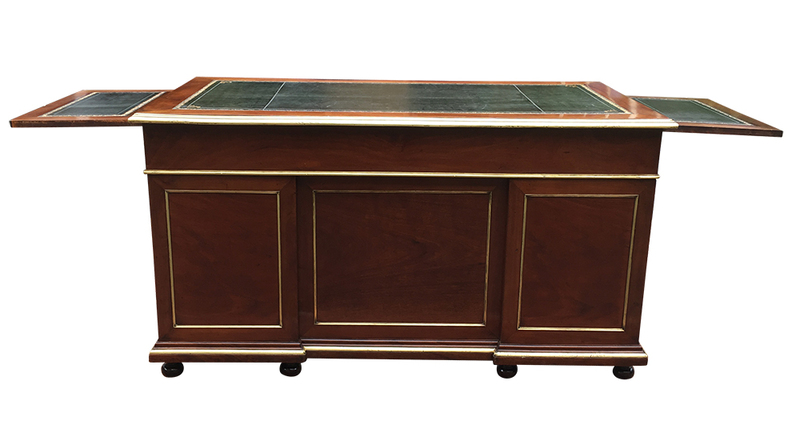 The pedestals have plinth bases with hidden castors and connecting the pedestals at the back of the desk is a vanity board. 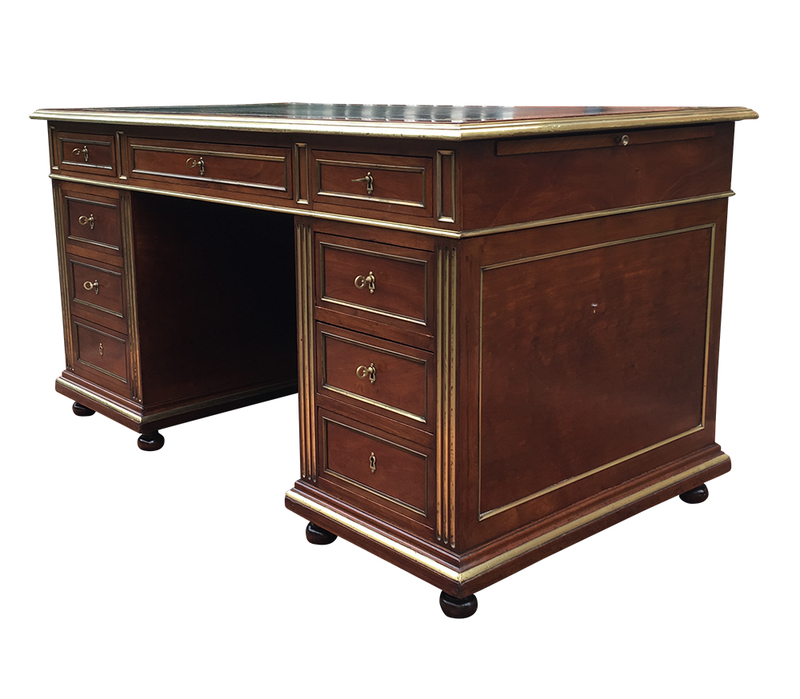 This delightful good quality antique French desk with its architectural style id designed to be used as a free-standing piece of furniture and focal point of a room.